If you’ve been here before, you know I have this teeny tiny obsession with pie. Sadly (weirdly?) I’ve never made a pie before, just taste tested them. This past week, I had the opportunity to make pie – pops! 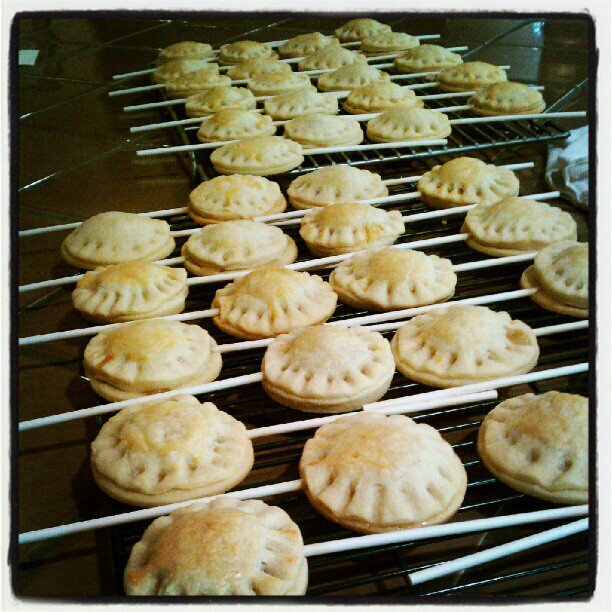 This is not real baking, just assembling – frozen pie dough, canned apple pie filling and of course, lollipop sticks. Don’t ask me for a tutorial, A) because there are a million already out there B) I didn’t take enough pictures to make it interesting. The only thing I would change? The pie to crust ratio – to much crust, not enough filling. Oh, and I invented the Pie Pop Ice Cream Sandwich – that’s right, you heard it here first (or second?). Anyway, the pie was a HIT at our block party, and yes I probably took credit for inventing them – even though we all know I didn’t. But, what are you gonna do. 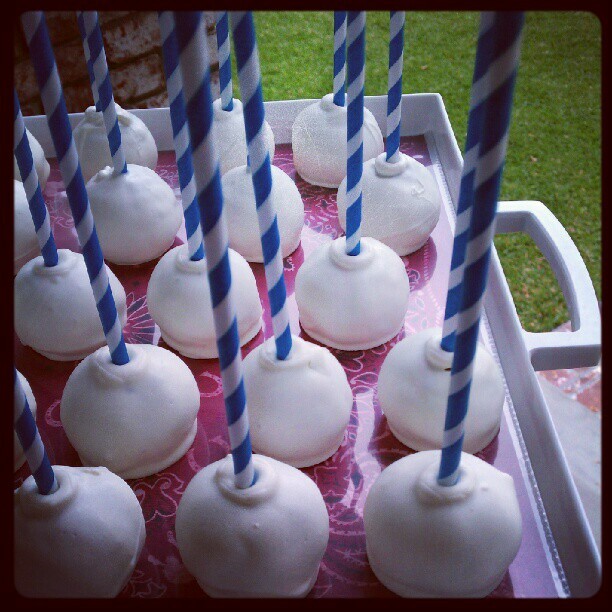 I will take credit though for my ultra fab pie pop holders. Handled baskets outfitted with floral foam, natural shred and ric rack. 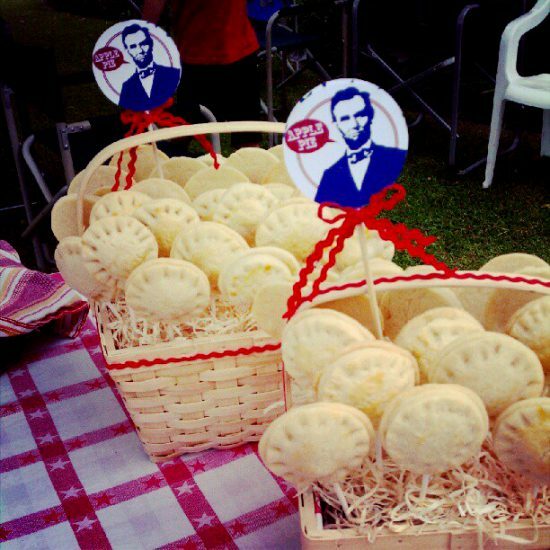 Oh, and the Abe Lincoln “Apple Pie” rounds on a stick. Our Lady Liberty was on the reverse – really cute, not that anyone noticed them. eh, well. We were also invited to a pool party – same day, same block, different dessert required for entry. 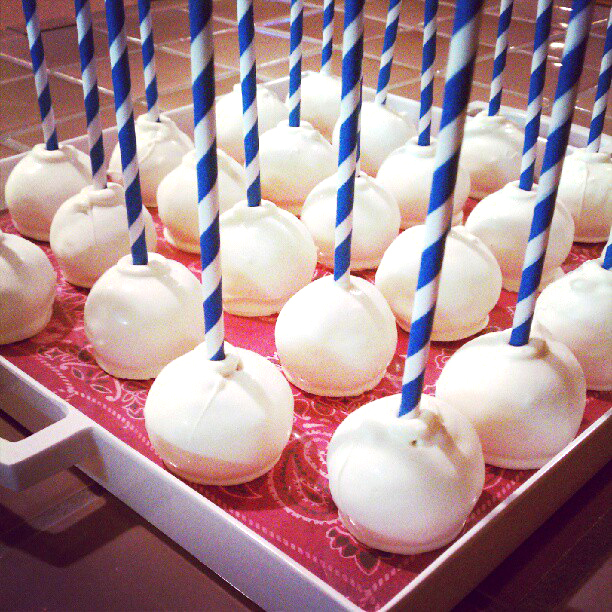 Carrot Cake cake pops, blue strippey straws, square white tray lined with bandana scrapbooking paper. Genius!